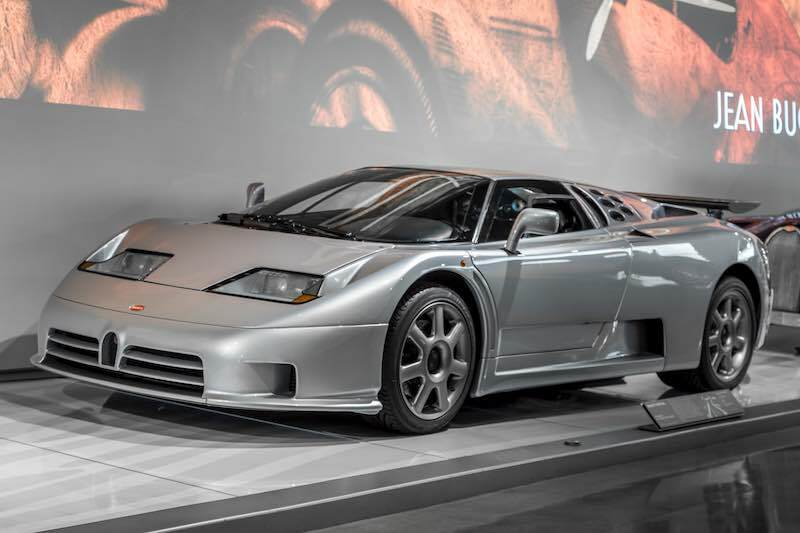 The Petersen Automotive Museum’s “The Art of Bugatti” opened October 23rd and features one of the rarest gatherings of Bugatti automobiles in history. 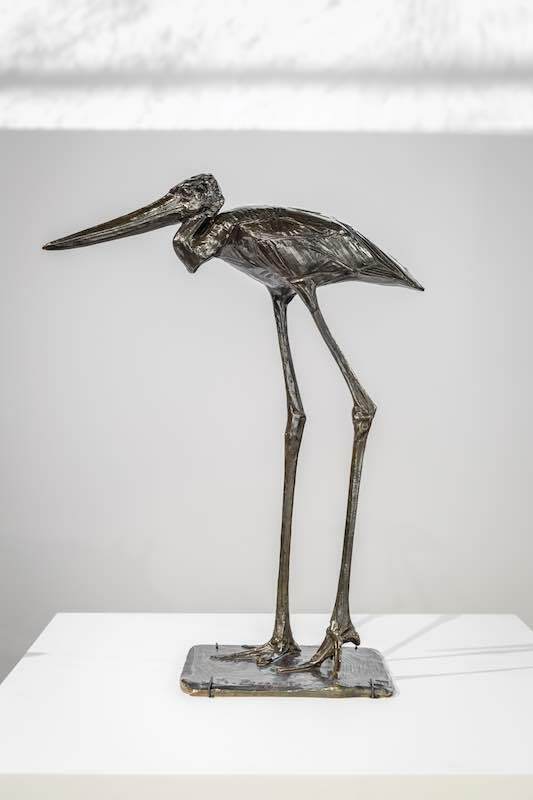 The exhibit also includes works of art by the Bugatti family including sculpture, furniture, paintings and more. The display is located in the Mullin Grand Salon on the museum’s first floor and will run through the fall of 2017. 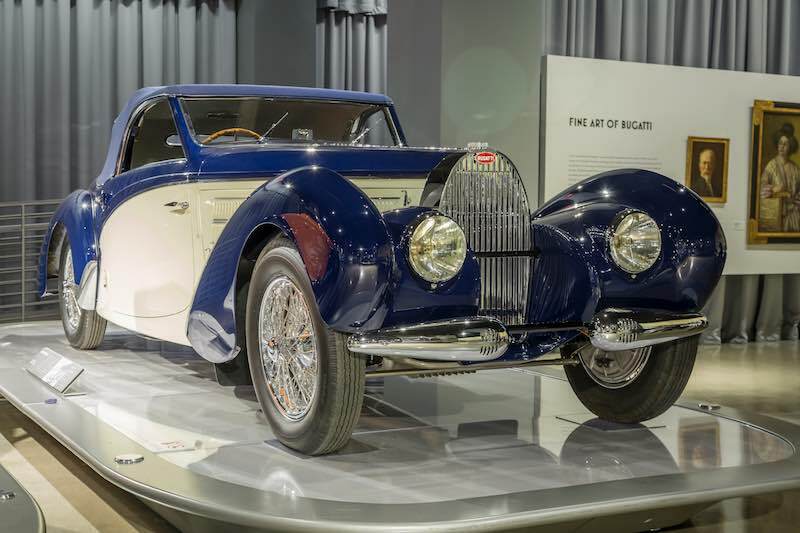 The Art of Bugatti exhibit gives museum-goers an inside look at the history of the Bugatti family beginning with its patriarch, Carlo Bugatti, and his path through the arts which included a mastery of architecture, painting, Art Nouveau furniture design and silversmithing. It then goes into great detail on the work of his sons, sculptor Rembrandt and carmaker Ettore Bugatti, as well as Ettore’s children and studies the influence of Rembrandt’s animal-life sculptures on his brother Ettore’s art-deco era automotive designs, both of which incorporate the Fibonacci sequence, or “golden mean.” Art of Bugatti also offers a history of the family itself, including correspondence and historical artifacts. 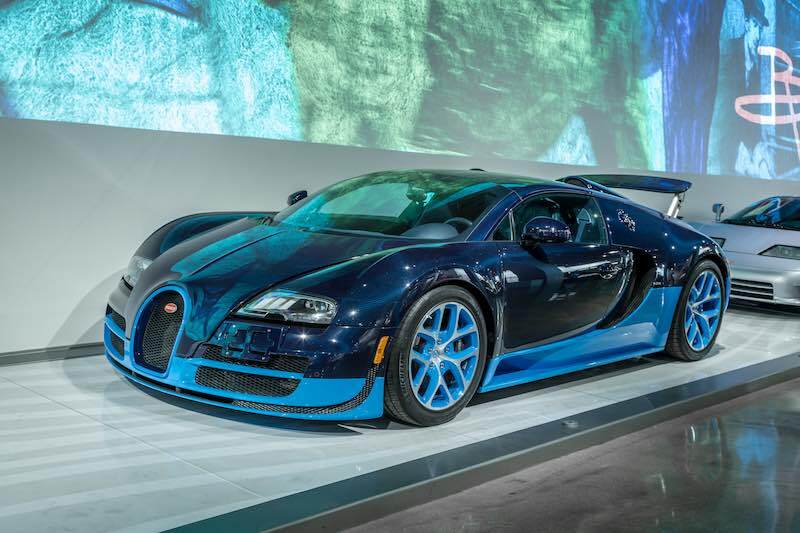 Guests will learn of the Bugatti family’s triumphs and many tragedies beginning with the death of Rembrandt as well as the untimely death of Ettore’s son Jean Bugatti. 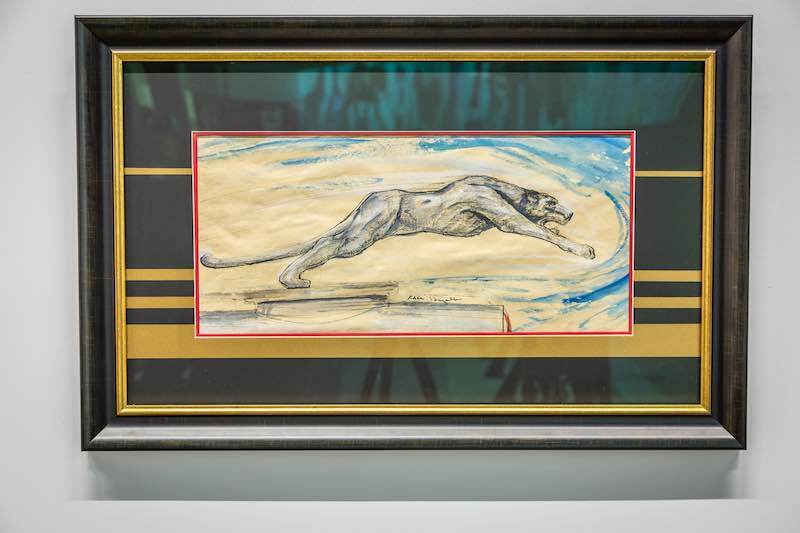 In addition to the vehicles, the exhibit includes paintings, sculpture, writings, furniture and other Bugatti family designs. 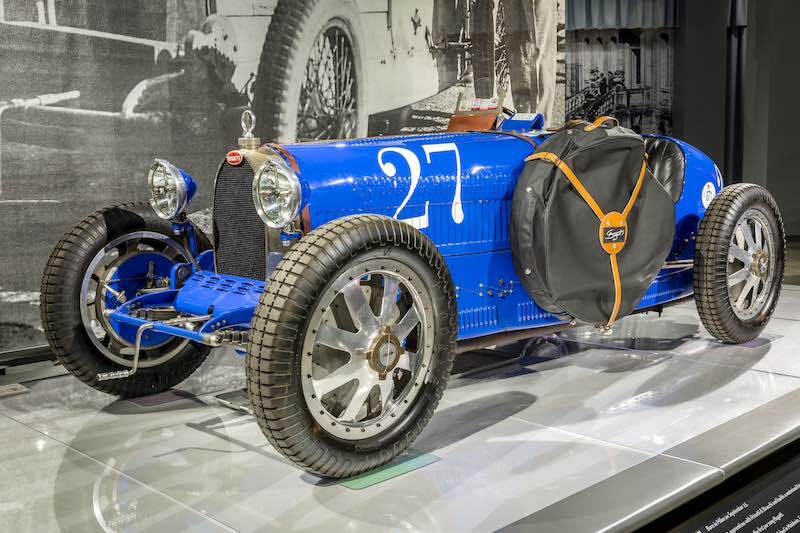 The Art of Bugatti exhibition represents an opportunity for museum guests to experience the Bugatti family in all their splendor and to see an unprecedented number of their automobiles in one place, displayed as they should be, as art. For more information on the Art of Bugatti exhibition or the Petersen Automotive Museum, visit Petersen.org or call 323/930-CARS.